Ductless mini-split air conditioners were in vogue since last one decade or two. This was on account of many reasons. These units do not require installation of expensive duct work. 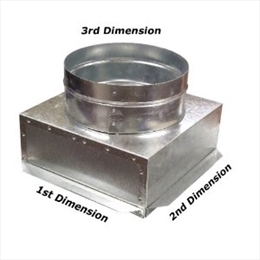 They are ideal solution in retrofit projects where it is difficult to lay a duct work. If you want to add an A/c to a room where it not possible to get it connected to the central duct work, a ductless mini- split unit provides an ideal solution. In fact, since 2005, the data trends pertaining to HVAC industry has pointed towards a fascination of the consumers and manufacturers about ductless “mini-split” A/c systems. A thought has been hovering in HVAC sector and is also being promoted that in next couple of years the central heating and cooling systems will get ousted and be replaced by ductless mini splits. •	The sales of ductless mini-splits have fallen drastically since 2010. This is special true of small, single evaporator systems. No sustainable growth in sales has been seen in recent years. The sales are stagnant at 260,000 units per year. This is only 4% of the number of units that are shipped. The commercial units in this segment, the VRFs continue to grow commendably. But their demand is not as massive as residential units. Only 28,000 units per year are sold in the US. •	Mini-ductless split units are considered to be ideal home solutions. But not really in terms of cost. Cost of installing a ductless mini split for 2000 sq. feet house would cost almost three times to replacing a central air system with another one. If you would need to install a new duct work besides buying a central air system, the cost would be almost 50% less than expensive ductless options. Ductless mini-split systems cost about $1,500 to $2,000 per ton. This is about twice as much as window units of similar capacity. •	There is popular notion that central air condition often leaks out air through ducts but ductless mini splits are foolproof in this aspect. It should be remembered in this aspect that a central air would lose energy if only ducts are leaky or the insulation is in very poor state. Well maintained central air system has high efficiency. Duct work can cause energy loss in central system if they are leaking only in unconditioned spaces such as attic, crawl space or basement. Otherwise the air will only leak out to keep the house cool. Mini splits have another kind of loss. In many mini-split units, the refrigerant lines are run outside the conditioned space. This results in heat losses to outside environment. Many companies stress on zoning system offered by ductless mini-splits. Zoning systems help to save on energy cost. They can air circulation in unoccupied rooms. But zoning systems can be availed through other cost-effective mechanism. •	The notion that ductless system offer superior comfort should be taken with grain of salt. The internal units have to be placed strategically to avoid cold and hot spots in the room. Moreover many homeowners do not like the look of air-handler units mounted on several interior walls and having refrigerant lines running to various rooms along the sides of the house. They have a negative impact on athletics and decor of the house.